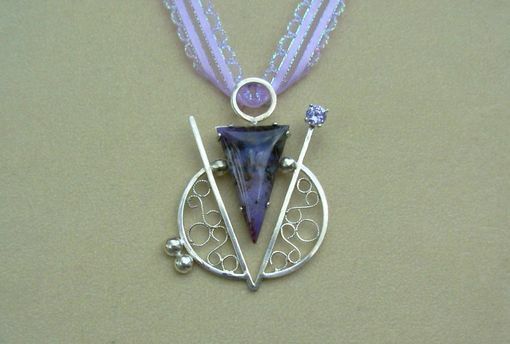 Tiffany Stone, Cubic Zirconia & Sterling Silver pendant, Tiffany stone is a beryllium ore which is made up of Opal and Fluorite and comes from Utah. This stone was carved to meet the design specification. This piece will show well with most styles of wear.